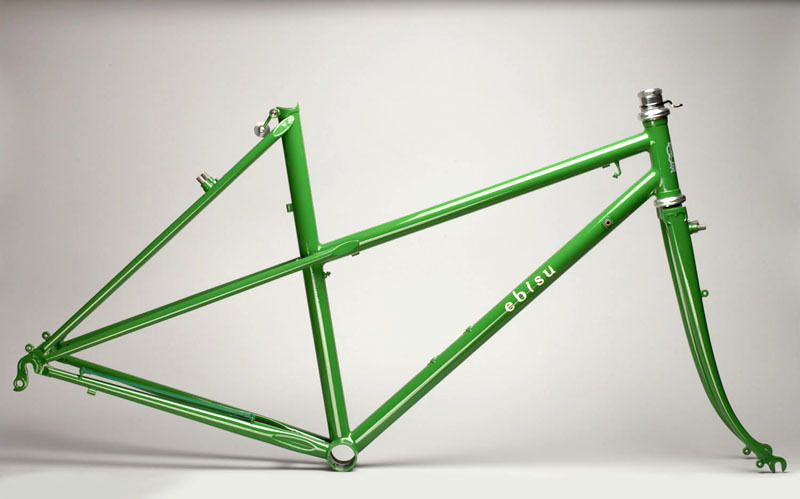 Hiroshi Iimura has been designing bicycle frames since the 1960s. 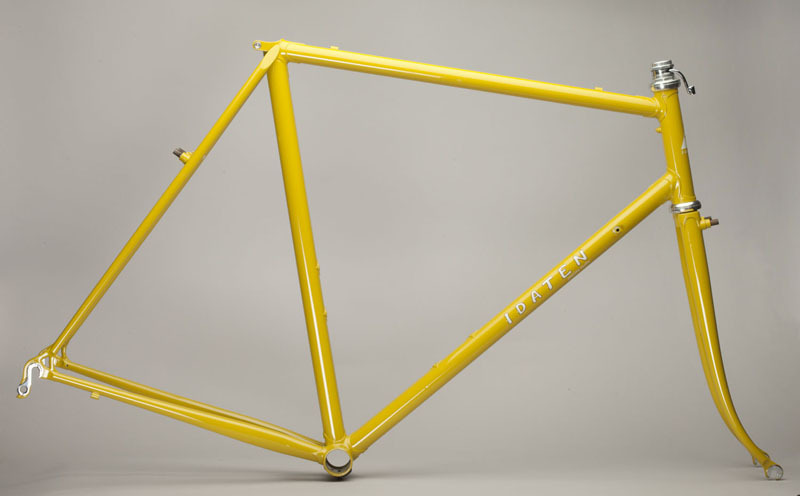 The frames featured at Jitensha Studio are built to his specifications by a trusted master framebuilder in Japan. 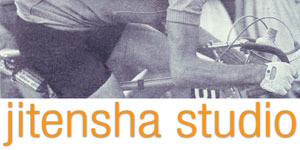 Since opening Jitensha Studio in 1982, he has designed and outfitted thousands of bikes of every description. For many, if not most visitors to the shop in those early years, the idea of, for example a bike with 650B X 42 tires, was unheard of. Now, more and more customers have began to open up to ideas that had been well established outside the U.S. for years. We are very happy to see this happen and have greatly expanded the choices we offer. One of Hiroshi's goals since the beginning has been to offer finely hand crafted, elegantly designed bicycles at reasonable prices. We look forward to working with you on your next bike. The Ebisu was conceived as a bike that offers a great riding experience combined with satisfying esthetics at a very reasonable price. This is a frame that is suited to serious riding. It offers a lively but comfortable ride. It is versatile, fun on fast short day rides or long tours on back roads. With clearance for large tires even with fenders, it makes a great touring or fire roading bicycle. 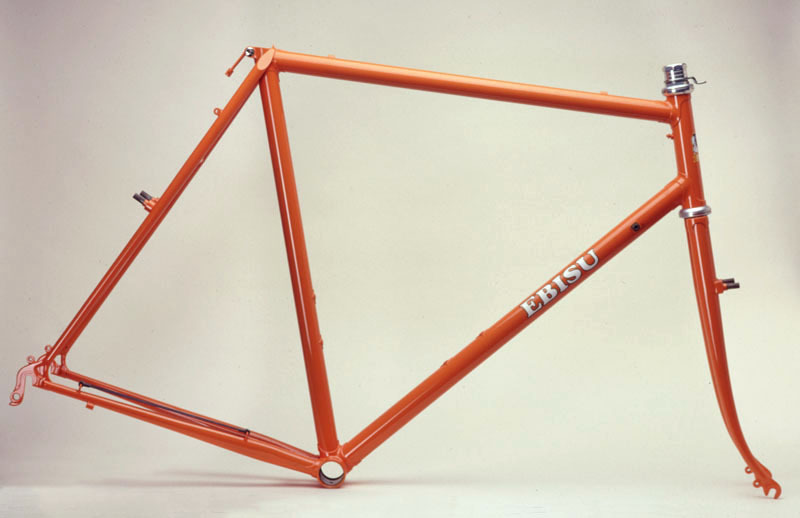 Originally, only a couple of models were offered in limited colors and sizes so that frame prices could be kept lower by ordering in quantity. However, over the years there has been a substantial increase in interest in randonneuring, touring and similar types of bicycles. More and more customers wanted custom options, so that currently each bike order is essentially a custom order. The Ebisu is our main model. There are three starting points: road, all purpose, and fixed gear. These are designed with butted steel tubing, really nice looking cast lugs and forged dropouts. After discussing your desired options and sizing with Hiroshi, your order will be formulated. Some specs such as tubing wall thickness or frame size are included. Certain options will incur extra charges, depending on complexity. Prices are outlined below. We are also offering a less expensive alternative to the Ebisu called Tonbo. 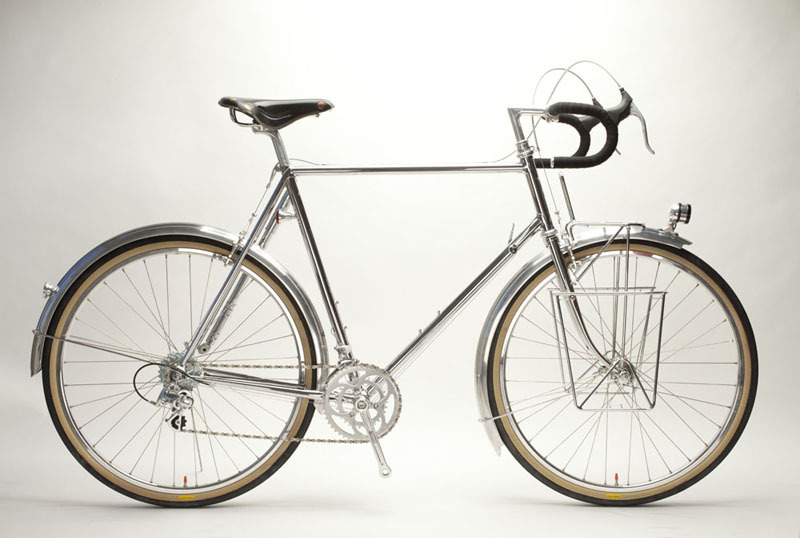 Cost is kept down by using fillet brazed construction (tubes are brazed together without lugs). The all purpose is designed to provide a flexible platform for anything from gravel riding to touring to recreational road riding. A mixte version is also available. Custom color is now available at no extra cost for all frames, however, we request that you provide a color chip or sample. 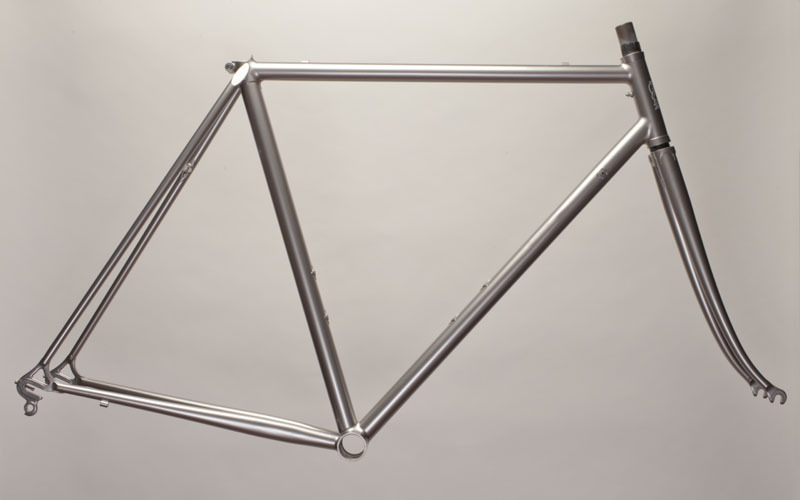 This frame is designed to be built into a quick but comfortable road bike with clearance for larger tires. 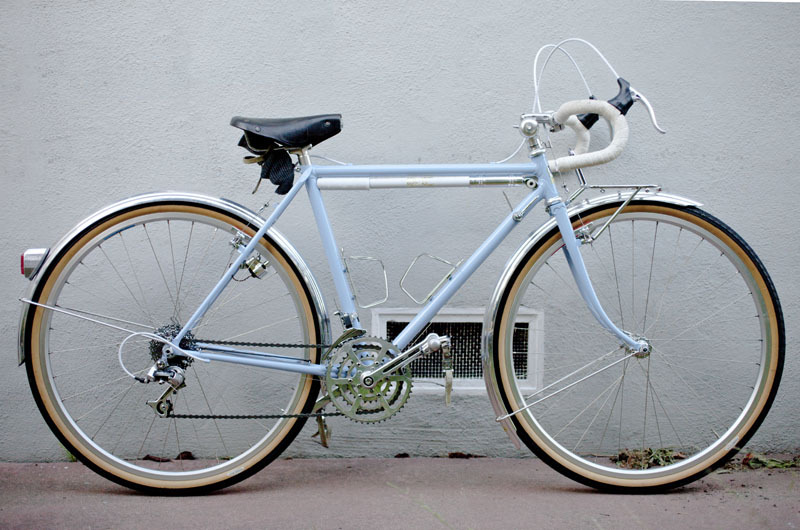 We now offer a road mixte version. With the same geometry as our road model, but without shifter bosses. Rear dropouts are standard track-style rear facing. 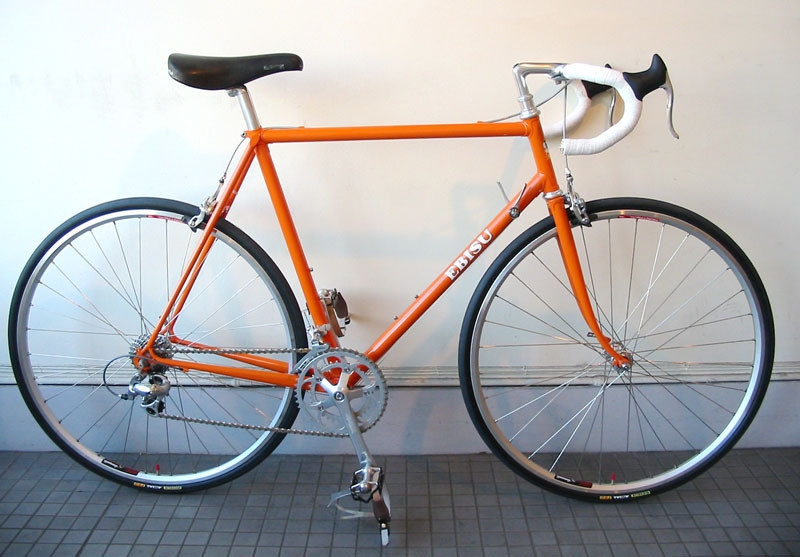 Note: for those who want a true track bike (pista), we have an arrangement with Mr. Matsuda at Level. These frames are a special order item. Prices on inquiry. 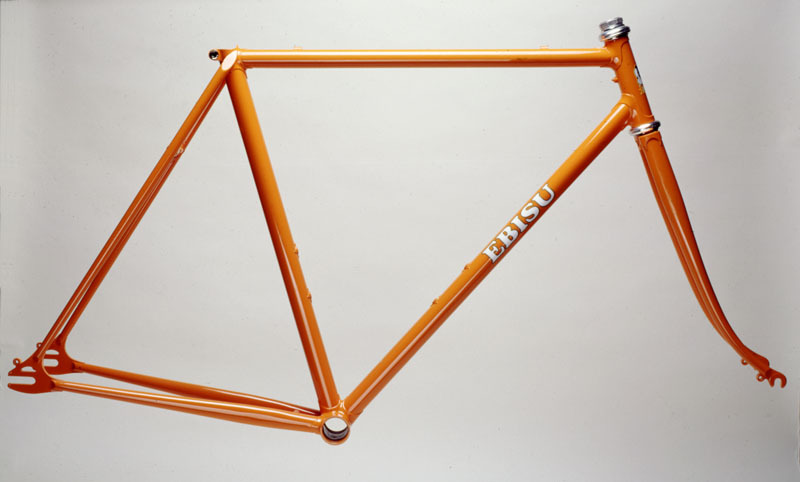 Very similar in design to the Ebisu Standard (Road, All Purpose and Single Speed), but with a fillet brazed frame instead of lugs. A lower priced option. We have had increasing demand for high-end "cost no object" custom frames. The Ebisu Special offers a higher level of finish including hand finished llugs. Custom color and geometry is included at no extra cost. Racks, internal wiring and other special details are extra. Fully concealed frame wiring--this is different than what is offered on the regular Ebisu in that the wiring is fully concealed using our proprietary contact system to route it through the steerer and into the downtube without the wire exiting the frame. 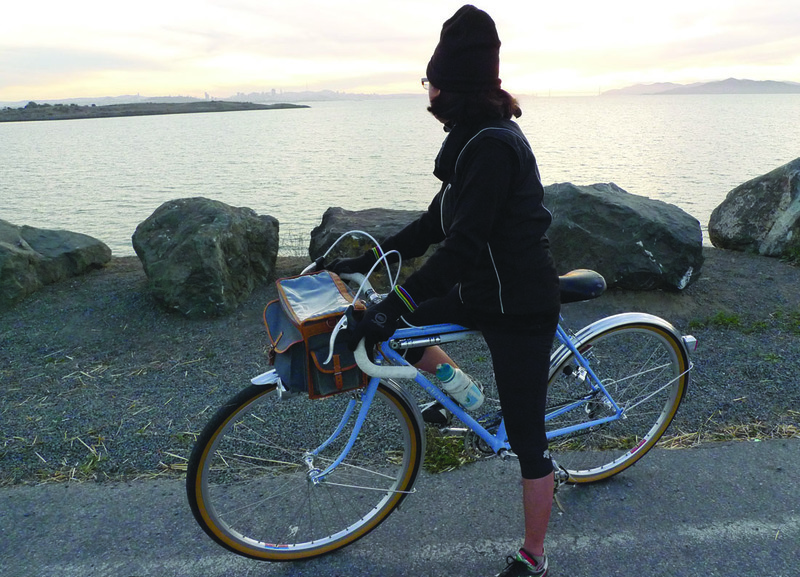 A bottom bracket or seat stay dynamo can be used, or a hub dynamo can feed a taillight. Here are the starting prices for extras (special requests may cost more). Braze-on centerpull brakes: $400 or more for all models except the Ebisu Special where these are no extra cost. If you are interested in special tubing such as lighter gauge or a different brand, please ask. Hiroshi may decline certain requests if he feels they don't meet his requirements. Extra cost starts at $150. Once all the details have been worked out, a non-refundable deposit will be required and your bike will enter production.